What is 3rd Gen Earbuds ??? 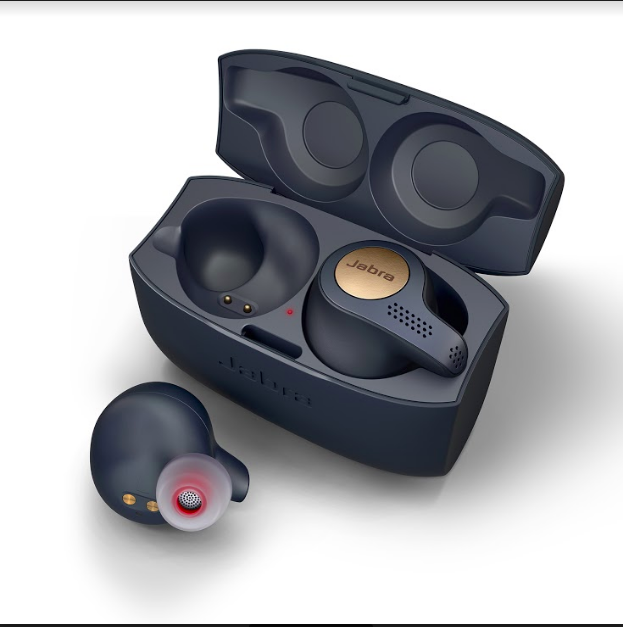 Jabra is unveiling the Elite 65t and Elite Active 65t, the company’s third generation of true wireless earbuds, built for a consistently stable wireless connection and up to 15 hours of battery life (with cradle). In launching the Elite 65t and Elite Active 65t, Jabra has reinvented a set of true wireless earbuds, incorporating its knowledge about usage, comfort and design from the first true wireless innovation. The new earbuds have a distinct focus on the voice experience, delivering superior audio quality for calls and music without wires. The products come in two versions: one for daily on-the-go use and an ‘Active’ version, made for training and sport. Building on the success of the Jabra Elite Sport – the best-selling, most technically advanced true wireless sports earbuds* – the new earbuds are engineered to deliver an even better voice and music experience as well as incorporating new design and colour choices. Jabra Elite 65t for those who want superior sound and connectivity from truly wireless earbuds for everyday use – with rock solid connectivity and high battery life of total 15 hrs (2 years warranty). Jabra Elite Active 65t for those who want the same superior sound and connectivity as Elite 65t, with the added features, durability and fit of a sports product – IP56 certification, special coating for better grip and accelerometer for tracking (2 years warranty). Jabra Elite Sport – the existing product for ultimate training and biometric enhancement features and even higher durability (IP67) and 3 year warranty against sweat. Engineered for superior sound, the Elite 65t brings together unique technological features to deliver best-in-class quality for voice and music. It is built to ensure a stable wireless connection and to deliver the best call and command (voice) quality. The innovative four microphone solution combined with an optimised acoustic chamber enables advanced noise suppression and voice enhancement for every type of environment. 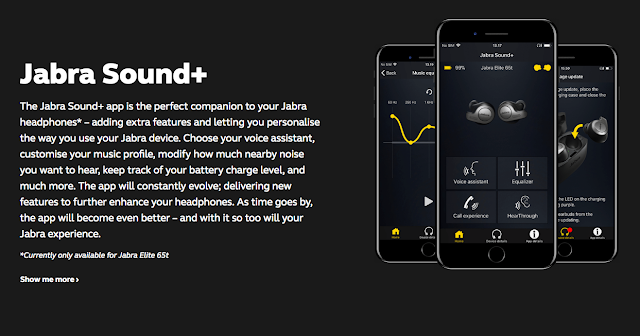 The earbuds also allows music to be personalised using a music equaliser accessed from the Jabra Sound+ companion application. The Jabra Elite 65t combines a lightweight design for long-term comfort with up to 15 hours of battery life with the cradle and five hours of listening time in one charge making the earbuds the perfect everyday solution. Elite 65t will be available in lead colour Black/Gunmetal and also in Black/Copper and Light/Neutral versions. 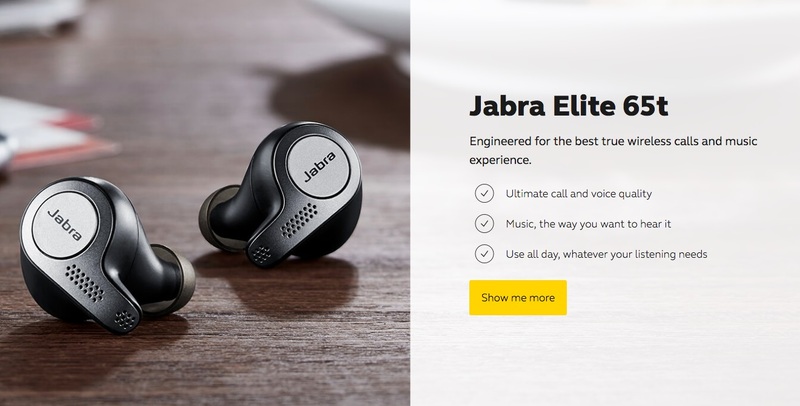 The Jabra Elite Active 65t is aimed at those who want the features of the Elite 65t, but whose priority is being able to use the earbuds in an active environment. The earbuds are fully enhanced for sports use with a more secure fit, through special coating, integrated accelerometer for tracking features in the Jabra app and IP56 sweat, water and dust certification. The Elite Active 65t has five hours of listening time on one charge and two-year warranty against sweat and dust. Elite Active 65t will be available in Navy/Copper colour. “Our third generation earbuds are testament to our industry-leading engineering capabilities, stemming from our GN Group heritage, for both daily on-the-go and sports use. “This is a whole new range of superior sound products, based on our vast knowledge and customer feedback from earlier true wireless generations,” said René Svendsen-Tune, CEO at Jabra. For those who prefer using voice commands, the new products allow voice support for all major voice services, now including Amazon Alexa on-the-go. Jabra will be among the first movers to enable this mobile feature, providing customers with access to Alexa directly from the earbuds. With Alexa, you can ask to play music, hear the news, check weather, control smart home devices, and much more. Elite 65t delivers a 4-microphone array and superior sound. “With Jabra’s earbuds and Alexa, customers can ask Alexa thousands of things while on-the-go,” said Pete Thompson, Vice President, Amazon Alexa.